Finally! The LAST post in my Baltimore series (until our next visit of course.) 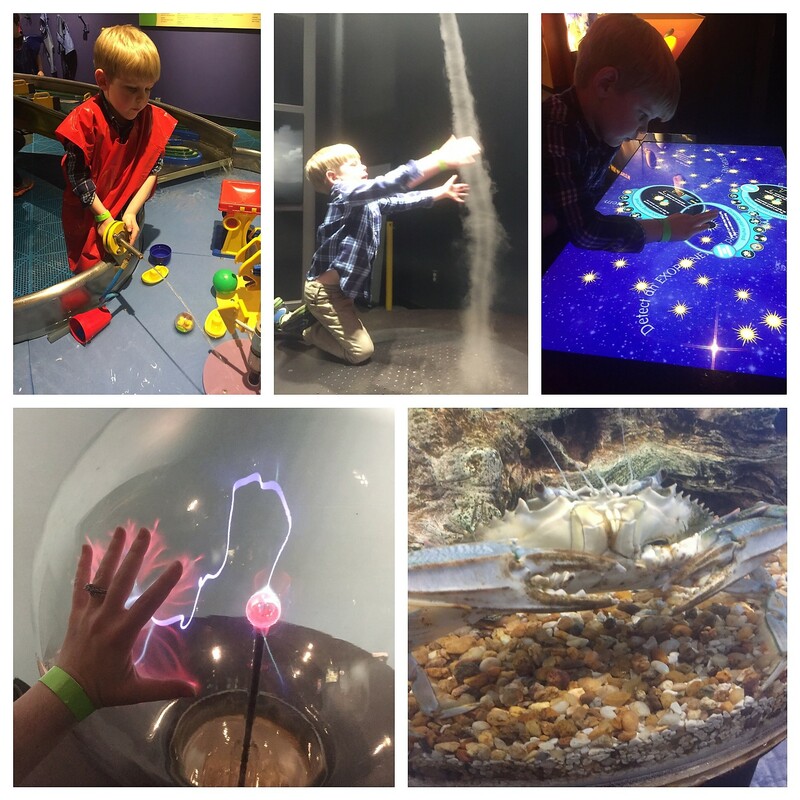 We got an awesome deal for the Maryland Science Center on Livingsocial using a coupon code and Ebates. To be honest, I might not have gone otherwise, which is a big mistake! Every time we make the trek to B-more, we are heading for the aquarium, but not this time! Every parent needs to have a rainy day plan in their back pocket. This indoor activity fits the bill perfectly. You’ll find the same parking conditions as if you are visiting the aquarium, as they are just across the water from each other. We found a parking garage across the street and were able to get a voucher for discounted rates from the customer service desk at the museum. Something I haven’t really touched on in 80+ blog posts is the relationship between nature and science. D is very inquisitive by nature and he is always asking “why?” about all things nature. In many cases, the answers come from science. In all the other cases, nature is just bizarre and weird and unexplainable, so we have to just take our best guess. Either way, the relationship between the two is so intertwined that it makes perfect sense when looking for nature based fun to visit a science center. Maryland Science Center is so jam packed with fun stuff that you may not know where to begin, but the giant dinosaurs at the entrance beckoned to my boys and we spent a huge part of our visit in that area. D got to get hands on with a tornado and get face to face with a blue crab. He had a BLAST playing in the water tables and with a wind machine (both in the kids area) that blasted lightweight fabrics up in the air. O loved excavating fossils and bouncing from one exhibit to another like a pinball while Mommy and Daddy took turns chasing him. He had so much fun in the main exhibit areas, but if you are visiting with toddlers, my recommendation is to make sure you spend most of your time in the kids room, where kids are contained and entertained with awesome age appropriate activities. Plan to spend a few hours here when you visit, but don’t expect to get to see everything. There is just SO much to see and do that you’ll have to visit multiple times to experience it all. Even though we visited for the kids, hubby and I had fun playing too!